This image was published in the May 2008 issue of Icon Magazine to coincide with Polaroid’s announcement that it would cease producing instant film. 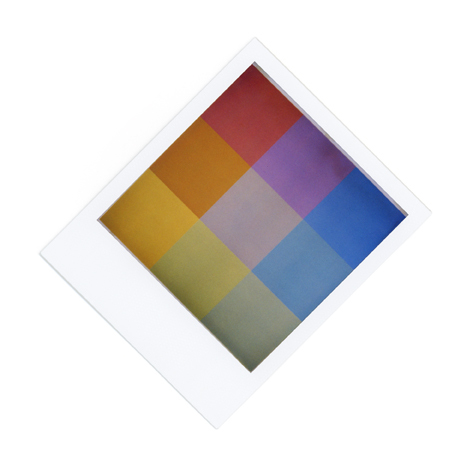 The photograph depicts Polaroid’s logo perfectly framed by the raised, white mat of the print. Thanks to inaccuracies in the viewfinder of Polaroid’s instant camera, which rarely align with what the lens of these cameras actually see, framing the logo with the camera became a trial and error endeavor requiring the use of an entire package of film. This photograph, the best example from a total of ten attempts, was the last one taken.